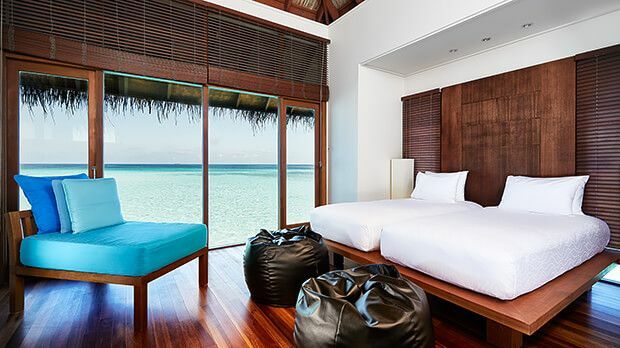 The Conrad Maldives Rangali Island Hotel is located in the Alifu Dhaalu Atoll of the Maldives. The coral, sea life, and warm waters of the Indian Ocean make the area one of the world's best diving destinations. 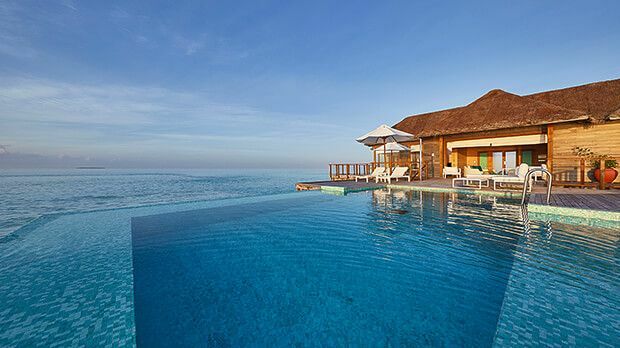 With an experience that spans aquatic gardens, intuitive service, rare marine life, dining below the waves, and unparalleled views of the Indian Ocean, Conrad Maldives Rangali is an idyllic island paradise. Nestled in the South Ari Atoll, renowned for its abundant flora and fauna, the resort features villas and suites tucked amongst natural greenery and dotted above the Indian Ocean, 12 award-winning restaurants and bars, two tranquil spas and a curated collection of locally inspired experiences designed to connect adults and children with the charm of Maldivian culture. This tropical paradise actually occupies two connected islands, each with their own charms. Walking the illuminated bridge between them as the sun sets, you'll see manta rays swimming in the crystal blue water. Get even closer to ocean life by snorkeling on nearby reefs. Or stay dry and watch the fish at the amazing Ithaa undersea restaurant. With a kid's club, dedicated watersports center, and activities for the go-getter or the beach bum, the Conrad Maldives Rangali Island Hotel connects everyone to the charm of the Maldives. 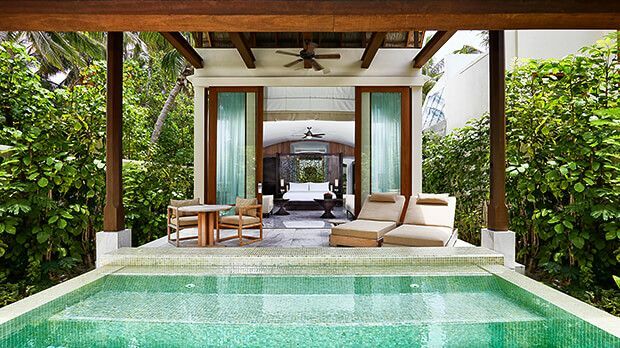 Send an availability request with your requested dates to the Conrad Maldives Rangali Island. Set on the beachfront, the King Beach Villa has 1 King bed, an outdoor bathing area, a pavilion with spa, and a private garden. 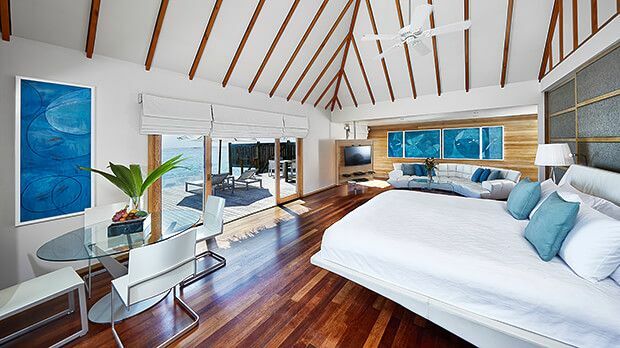 Built on stilts over the ocean, the King Water Villa has 1 King bed, and a private sun deck. Set on the beachfront, the Deluxe King Beach Villa has 1 King bed, a pool, a terrace courtyard with an open-air bathroom, and a spa bath. 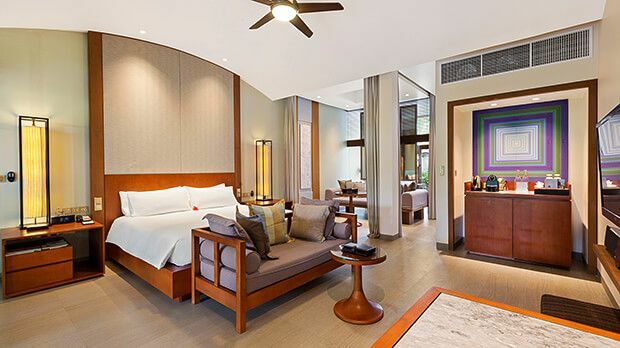 Built on stilts over water in Spa Village, the King Spa Water Villa has 1 King bed, a spa treatment room, and a private sundeck. 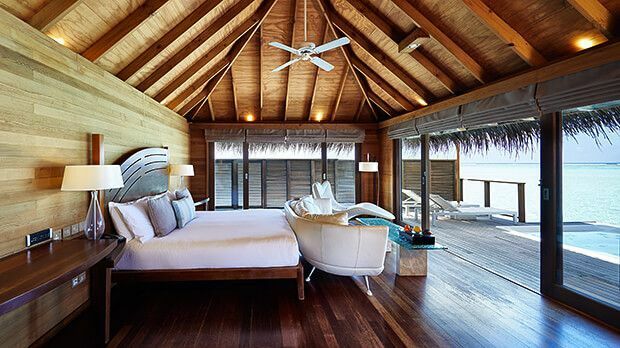 Built on stilts over the ocean, the Superior King Water Villa has 1 King bed, whirlpool and a sundeck. 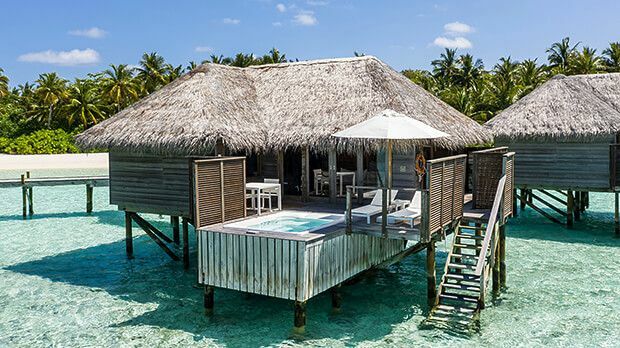 Set on the beachfront, the Deluxe King Water Villa has 1 King bed, a whirlpool, an outdoor bathing area, a pavilion with spa and a private garden. 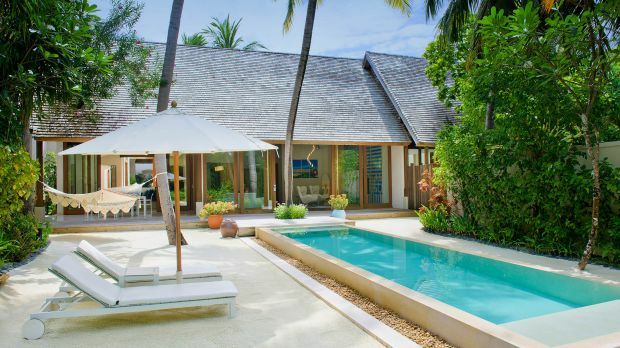 Two Bedroom Water Villa with room for up to four adults. Spacious villa with infinity pool and space for three adults. 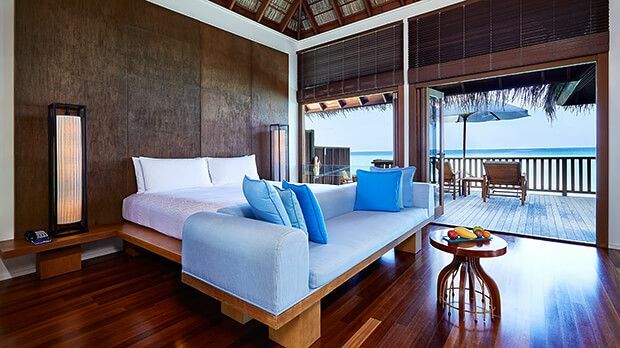 Two Bedroom Presidential Water Villa.